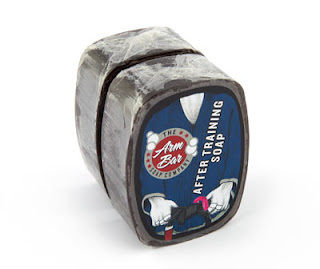 Recently, there are a few companies that are offering anti bactorial soap for BJJ after training. The arm bar soaps are pretty cool and have interesting scents. The one I tried had coconut and acai flavor.